Conflict in Discharge of Post-Petition Condominium Assessments - Gensburg Calandriello & Kanter, P.C. A discharge under section 727, 1141, 1228(a), 1228(b), or 1328(b) of this title does not discharge an individual debtor from any debt . . . for a fee or assessment that becomes due and payable after the order for relief to a membership association with respect to the debtor’s interest in a unit that has condominium ownership, in a share of a cooperative corporation, or a lot in a homeowners association, for as long as the debtor or the trustee has a legal, equitable, or possessory ownership interest in such unit, such corporation, or such lot, but nothing in this paragraph shall except from discharge the debt of a debtor for a membership association fee or assessment for a period arising before entry of the order for relief in a pending or subsequent bankruptcy case. 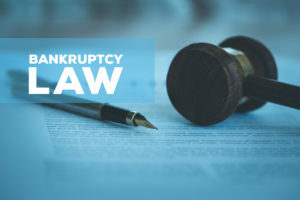 With a few exceptions, §1328(a) is designed to discharge pre-petition debts upon confirmation and completion of a bankruptcy plan. Debts arising after the petition date are not generally dischargeable. One line of cases treats post-petition assessments as incidents of ownership deriving from a covenant running with the land and, thus, nondischargeable post-petition debt. These cases hold that a condominium association has a property interest in extracting reimbursement of maintenance costs from the burdened estate, which creates a new personal liability at the time of each assessment. In other words, the obligation to pay assessments is not a personal liability extending into the future, but rather an obligation arising from ownership of land. Unlike a contractual obligation to maintain property, the owner immediately divests himself of any future liability by transferring ownership of the property. The obligations affix to and adhere to the property itself. Under this approach, it is not the pre-petition ownership or covenant that creates the post-petition debt; rather it is the post-petition act retaining ownership of the property that carries with it the post-petition obligation to pay assessments. In re Rosenfeld, 23 F.3d 833 (4th Cir.1994), which pre-dated Section 523(a)(16) of the Bankruptcy Code, follows this approach. Here, the Fourth Circuit Court of Appeals held that the obligation to pay cooperative association assessments ran with the land and arose each month from the debtor’s continued post-petition ownership of the property. Id. at 837. Thus, the court concluded that any assessments due and payable after the filing of the Chapter 7 petition were not dischargeable as they were not pre-petition debts. Id. at 838. Another case following this line of authority is In re Spencer, 457 B.R. 601 (E.D.Mich.2011). Here, the condominium association’s master deed and by-laws; written pursuant to the Condominium Act, expressly stated that the obligations and restrictions contained therein were covenants running with the land. Id. at 609. The by-laws authorize the association to levy assessments proportionally among the unit owners and granted the association the right to enforce collection. Under Michigan law, the debtor was obligated to pay the monthly assessments as long as he was a unit owner. As an incident of ownership, the obligation to pay the assessed fees depended upon the debtor remaining the owner of the property. In this case, while the debtor scheduled his intent to surrender the property, it was undisputed that the mortgagee had never taken title to the collateral. Under the Code, a debtor’s decision to “surrender” his property merely establishes that a debtor will not oppose the transfer of the collateral. Although the debtor may have agreed not to oppose the secured lenders seizure of the collateral, he had not by that act alone transferred title to the creditor. The debtor remained the owner of the property and, therefore, remained obligated to pay periodic assessments by the association arising from a covenant running with the land. See also, In re Raymond, 129 B.R. 354 (Bankr.S.D.N.Y.1991); In re Beeler, 173 B.R. 108 (Bankr.W.D.Tex.1994); In re Lozada, 214 B.R. 558 (Bankr.E.D.Va.1997); In re Rivera, 256 B.R. 828 (Bankr.M.D.Fla .2000); In re Guillebeaux, 361 B.R. 87 (Bankr.M.D.N.C.2007); In re Foster, 435 B.R. 650 (9th Cir. BAP 2010); and In re Hall, 454 B.R. 230 (Bankr.N.D.Ga.2011). The second line of cases takes precisely the opposite approach and, treats the postpetition assessments as contractual obligations arising from the prepetition acquisition of the condominium. As such, the assessments are viewed as a contingent personal liability extending into the future from a concrete point in the prepetition past, which much be found to pre-petition claims. Courts following this approach emphasized the broad definition of the word “claim” under the Code and view future assessments as “contingent, unmatured, unliquidated, unfixed right to payment.” See, In re Mattera, 203 B.R. 565, 571 (Bankr. D.N.J. 1997). At the time of acquisition, the property holder’s liability for future assessments is seen as contingent upon whether the debtor continued to own the condominium and whether the association actually levied the assessments.” The Seventh Circuit has adopted this approach in In re Rosteck, 899 F.2d 964, 996-97 (7th Cir.1990). See also, In re Elias, 98 B.R. 332 (N.D.Ill.1989); In re Cohen, 122 B.R. 755 (Bankr.S.D.Cal.1991); In re Wasp, 137 B.R. 71 (Bankr.M.D.Fla.1992); In re Garcia, 168 B.R. 320 (Bankr.E.D.Mich.1993); In re Lamb, 171 B.R. 52 (Bankr.N.D.Ohio 1994); In re Stone, 243 B.R. 40 (Bankr.W.D.Wis.1999); and In re Hawk, 314 B.R. 312 (Bankr.D.N.J.2004). Goudelock v, Sixty-01 Association of Apartment Owners, 895 F.3d 633 (9th Cir.2018), followed Rosteck. The court stated that the association obtained two state law remedies under the Declaration to address the failure to pay condominium assessments: an in rem remedy of a lien and right of foreclosure; and an in personam remedy allowing it to bring suit against the property owner. While the in rem lien is not dischargeable under Chapter 13, the pre-petition in personam obligation is. Id. at 637. The court explained that post-petition condominium assessments are debts as defined in Section 101(5) of the Bankruptcy Code. The fact that the future assessments may be contingent and unmatured did not alter that analysis. Id. at 638. The court used the “fair contemplation” test to determine when a claim arises. This test provides that “a claim arises when a claimant can fairly or reasonably contemplate the claim’s existence even if a cause of action has not yet accrued under nonbankruptcy law.” Sixty-01 did not contest seriously that the debtor’s in personam obligation meets the fair contemplation test. At the time of the purchase of the condominium unit, Sixty-01 fairly could have contemplated that the monthly assessments would continue to accrue based upon the debtor’s continued ownership of the condominium unit. Thus, the debtor’s in personam obligation to pay assessments arose prepetition when she purchased the condominium unit. Id. Before becoming due each month, the assessments, which are part of the pre-petition debt, are unmatured and are also contingent upon continued ownership of the property. Unmatured contingent debts are, however, dischargeable under Section 1328(a). The third line of cases have held that post-petition assessments are dischargeable as pre-petition debts only to the extent that the debtor actually surrenders the property and, therefore, retains no benefit from the property. See, In re Montoya, 95 B.R. 511 (Bankr.S.D.Ohio 1988); In re Miller, 125 B.R. 441 (Bankr.W.D.Pa.1991); and In re Pratola, 152 B.R. 874 (Bankr.D.N.J.1993).